Some things are just meant to be. The natural wicker material has just been beautiful since it was harvested. 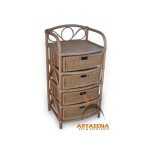 The Nature Rattan Drawers that we have here are meant to be your home wicker furniture that would bring back your passion for nature. 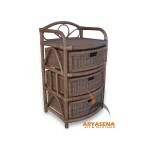 With this nature rattan furniture, it won’t take time to acquire all of the right things for a home.